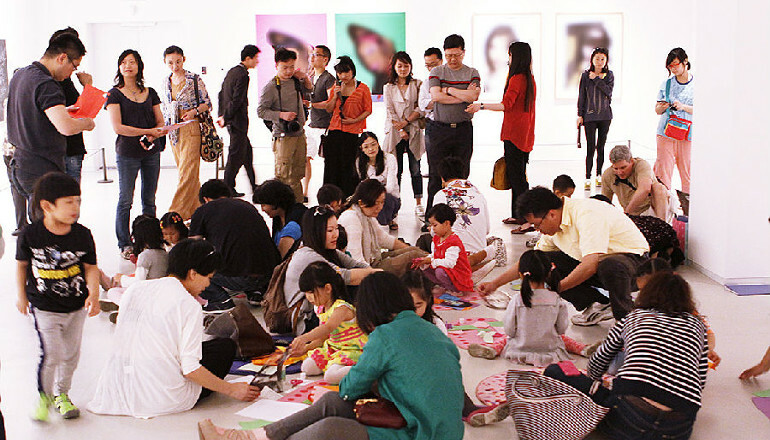 From May 11th – 12th 2015, artspire’s students visited ’15 minutes of Eternity Exhibition’ by Andy Warhol at the Shanghai Modern Art Museum. artspire Art and Visual Centre takes pride in its core concept of ‘Learning creativity from Masters of Art’, simply couldn’t allow our students to miss out on the opportunity to get in touch and learn from a world class artist. artspire’s students created art works based on the theme ‘Tribute to Andy Warhol’, parents and children worked together hand in hand, infinite imaginations were liberated; eyebrows can be green, why not colorful faces?! Two foreign friends couldn’t resist but to join in. Just look at awesomely creative our students were!